This one is a must try. So simple and only few ingredients needed yet very tasty and everyone will surely love it. Heat oil in a deep skillet in medium low heat. Season chops on both side with minced garlic, salt and ground black pepper, set aside. Mix flour and cornstarch in a large shallow dish. 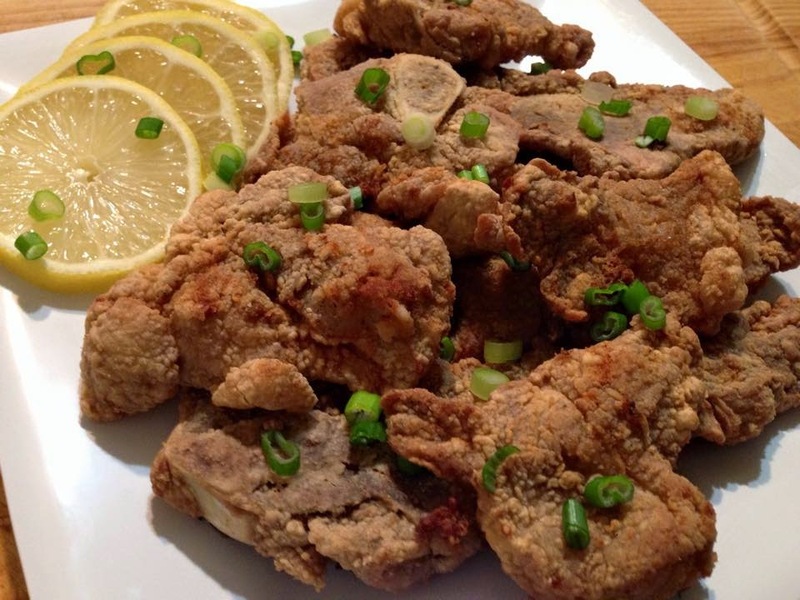 Dip each seasoned pork chops into the flour mixture and coat well, shaking off the excess. 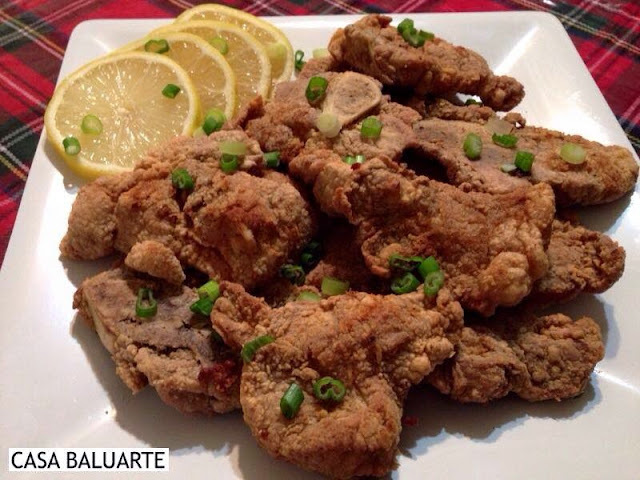 Fry pork chop in medium low heat for few minutes on each side or till golden brown. Place chops to a paper towel-lined plate to drain. Arrange chops in a platter, garnish with thin slices of spring onion, slices of lemon and serve hot.